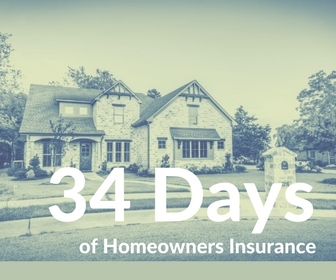 Condo insurance is a form of homeowners insurance. Although there are similarities, there are some significant differences. As a condo owner, the key is knowing what you’re responsible for when owning a condo. Your condo association will have a set of Covenants and/or Bylaws. These will tell you what you’re responsible for and what your condo association is responsible for. What I mean is, your condo association may be responsible for exterior walls, the roof, common hallways, elevator, and the swimming pool. If a hail storm damages the roof, your condo association’s master insurance policy would pay to repair or replace the roof. Generally the condo unit owner is responsible for the studs-in or sheetrock-in. So if that’s the case, the plan is to have enough insurance in place to repair or rebuild the interior of your condo. Now of course we want to cover your personal belongs inside of your unit. Your personal liability, which follows you wherever you go. Offering coverage for injuries or property damage you cause to another. If your condo is unlivable due to a covered loss, your condo policy will also help pay for expenses beyond the norm. Like living hotel for 6 months while your unit is being repaired. This is known as Loss of Use. The last piece to a condo policy I want to touch on is Loss Assessment. This crucial. Your condo association suffers a loss that exceeds what your condo association’s master insurance policy will pay for. So your association levies all of the condo owners to help pay for the damages. It’s important to make sure you have Loss Assessment coverage on your Condo policy. Otherwise you’ll be paying the levy out of your pocket.